As the calendar pages fall off and we [hopefully] head towards the warmer months, it’s time to get your summer soundtrack together, and in order to compile a proper sunny playlist, you’re going to need a healthy dose of pop-punk. 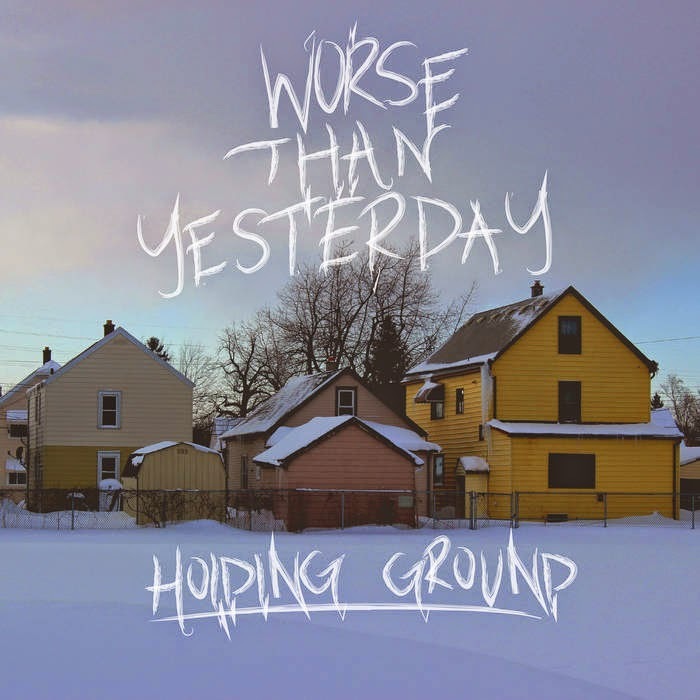 Enter Buffalo’s Worse Than Yesterday and their Holding Ground EP, a perfect album to blare with the windows down as you pop on your favorite pair of aviators. This record features all of those tried and true pop-punk hallmarks you’re looking for – churning and melodic guitars, gang vocals, ample sing-a-long opportunities and harmonious vocals. “Hold Your Head High,” a track that seamlessly melds all of those afore mentioned hallmarks, is a clear standout, as is EP closer “The Smile In You,” a scornful track about lost love (complete with the lyrics ‘And now I’m stuck in my room/Writing songs/Wishing you were dead’). “Frostbite” is about as pop-punk as pop-punk gets thanks to quick-as-a-hiccup signatures and “Makes Me Sick” is a pissy and snotty ode to the Ramones and NOFX; an underground NYC punk-style tirade clocking in at a Descendants-like 1:10, a track that just adds another layer to Holding Ground, an EP that will easily please fans of Blink-182, Knuckle Puck and The Story So Far.